From smoke, cooking odors and water damage to cat and dog urine, absorbent surfaces such as wall to wall carpets, area rugs and upholstered furniture can retain unpleasant odors over time. Once a scent penetrates fibers, it is almost impossible to remove the odor with traditional remedies and supermarket spot cleaning products. Not to mention, these products can cause damage to fabrics, carpet fibers and original colors and worse yet: be dangerous to your health. Offending odors are caused by bacteria in the substance that caused a stain. There are other factors that affect the intensity of a smell such as diet and health issues when it comes to perspiration and pet urine. A thorough deep cleaning done by a professional carpet and upholstery cleaning service can help reduce or eliminate unpleasant odors. When stains occur, you should act fast. First blot the spill using a damp cloth. 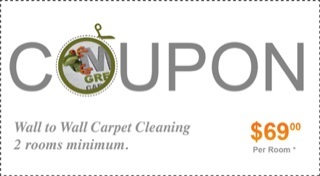 In case the smell doesn’t evaporate, you should call a professional carpet and upholstery cleaning company. 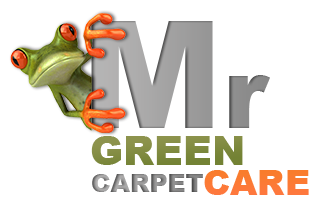 Mr. Green Carpet Care provides complete wall to wall carpet and upholstery cleaning services including stain and odor removal using only green, Eco- and health-friendly products safe for your family and pet. Our trained technicians have the knowledge and experience to treat any odor successfully. We use a unique, hot deep steam cleaning technique in order to remove any dirt, soil and bacteria. In severe cases, we treat areas with spot and stain removal products that dissolve odors. We use mild-smelling deodorizers leaving your carpet and upholstered furniture fragrantly fresh and clean. For professional stain and odor removal services contact us today at 1-877-444-6364.